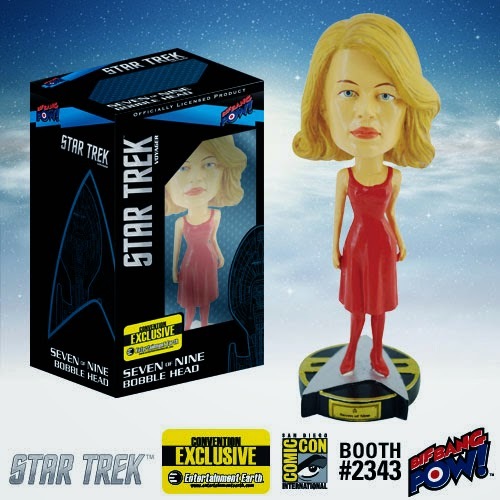 In her famed red dress from Episode #164, "Human Error," this Star Trek Seven of Nine Bobble Head brings you Annika Hansen, aka Seven of Nine (thanks to the Borg), just as you remember her. The black, gold, and silver base features the Star Trek: Voyager delta logo and her name. The terrific resin bobble head stands about 7-inches tall. San Diego Comic-Con runs from July 24-27, 2014. Come see us at booth 2343 to pick up all of our Star Trek Exclusives!